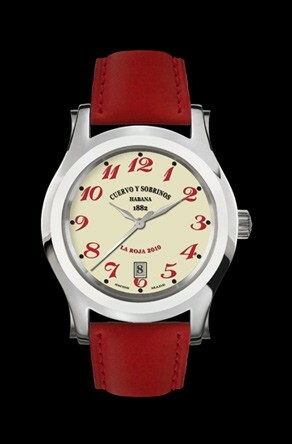 It is a stainless steel 43mm case, with a cream color dial printed with “La Roja”. It features an automatic movement, date, and exhibition case back. 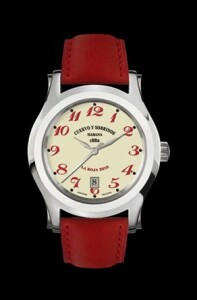 It comes on a red color leather strap with regular pin buckle.